Florida Power & Light has committed to installing 30 million solar panels. This is the world’s largest investment in solar energy by a regulated utility, but mostly out of view in rural areas. Customers have expressed enthusiasm for solar, and a desire to see it in their communities. So, FPL complemented their large-scale solar projects with a program called SolarNow, which enables people to contribute voluntarily to smaller solar projects located where they can see them. 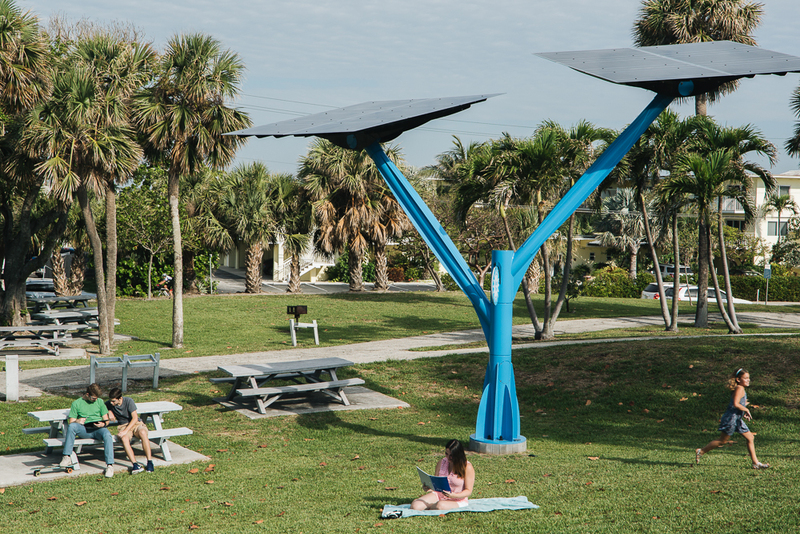 This effort has brought (great looking) solar to parks, zoos, science centers, schools, city hall, water parks, stadiums, an airport, and more... where millions of people can see and interact with it. Spotlight Solar exists to make solar more visible, so more people will embrace it. We are thrilled by what the 44,000 members of FPL's SolarNow program are accomplishing. As one SolarNow particpant said, "This is a way to help the environment... donating a small amount of money, benefiting the community by installing great things like this which we can use and see on a daily basis." SolarNow participants share their excitement for visible solar.